On Monday Channel [V] will air the 2013 Billboard Music Awards live from Las Vegas. 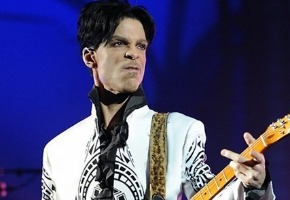 Tracy Morgan hosts and Prince will be honoured with a Billboard Icon Award. The 2013 Billboard Music Awards are coming to Channel [V]! Broadcasting LIVE from Las Vegas, the 2013 Billboard Music Awards celebrate the most successful artists in America over the past 12 months. Music heavyweights from all genres will descend on the MGM Grand Garden Arena for the prestigious Awards. Hosted by Tracy Morgan (30 Rock, Saturday Night Live), the ceremony will be packing some serious star power with performers on the night to include the likes of Justin Bieber, Taylor Swift, Bruno Mars and Miguel. If that’s not enough, the show will also feature a highly anticipated performance by music royalty, Prince who is being honoured with the Billboard Icon Award. The only place Australian viewers can catch the 2013 Billboard Awards live is with Channel [V]. Monday May 20 at 10.00am AEST on [V]. Madonna is also appearing to receive Best Touring Act, will be tuning in (despite Tracy Morgan).